Or Whatever This Might Be Useful for. Playing with my PiFace, I've decided to get it to a next level and create something that might be of a practical use. A £25-ish add-on board shouldn't be used just for switching LEDs on and off. That would be a waste of money. I've come up with an idea (not very unique, but one has to start with something) to make a simple security system. For start, it would remind me if (and when) my home doors/windows are shut/opened. 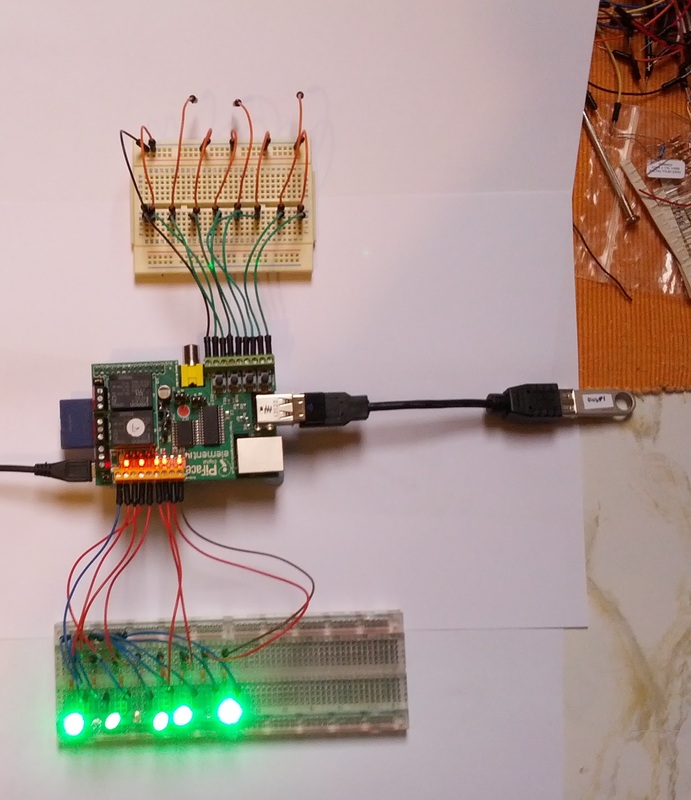 The simple Python script I've written to work with the PiFace, loops through the output connectors (there are 8 of them on the PiFace) and turns the LEDs on/off when a corresponding input is open or closed. When it detects a change, it writes information in the terminal and logs it to a separate file created by the script (to do so, you need to alter a bit your rsyslog.conf, but we'll cover that later). The script can be found on my github. And a short photo documentation of testing layout on my flickr stream. 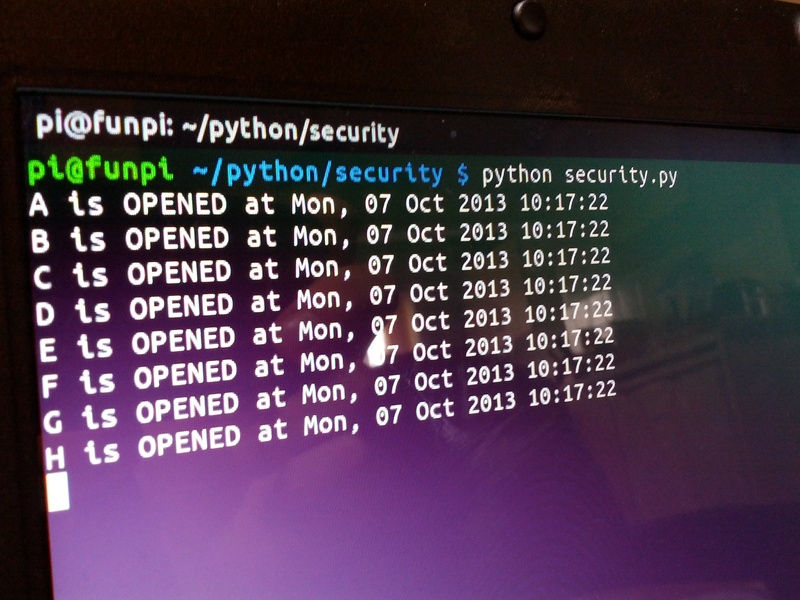 The Python script simply "scans" for input trigger. It responds to closing of a magnetic reed switch (in fact, any way of shorting wires would do, but I think this is the most sufficient way for this task) mounted on input wires. The switch itself is shorted by a magnet. As you close the door, the magnet causes the metal reeds to close, activating a corresponding output pin on PiFace to light up an LED. If you open the door, the reed gap opens again and the LED turns off. DISCLAIMER: The wire version seems not to be a good solution. As someone on + pointed out, the wires would be difficult to hide on the walls, especially if one has lots of doors/windows to "secure". In my case, it's just three windows and one door, but still, the wires have to run somewhere. One solution would be to use RF Transmitters, but still, they have to be powered somehow, and it'd be just a waste of space to have a battery pack lying next to each window/door. 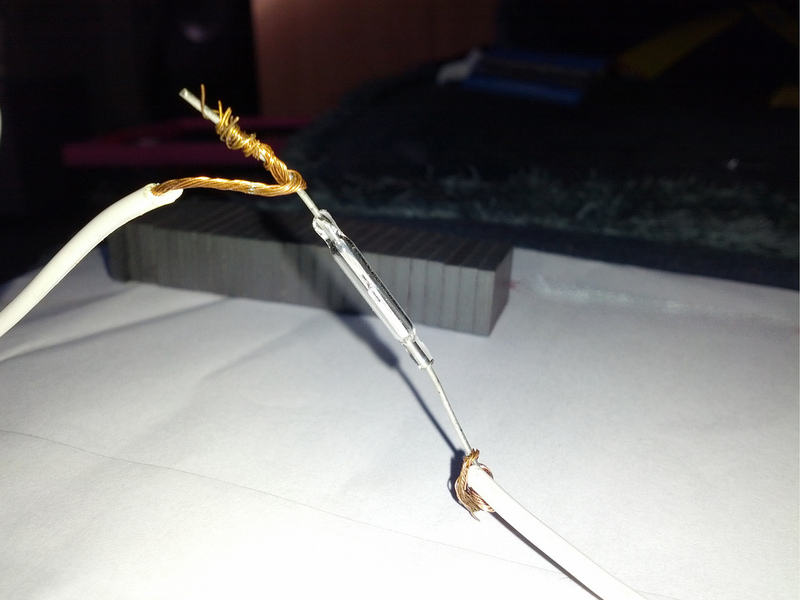 A good solution (better of two evils) would be to use a flat wire. It still doesn't look too nice, but once you hide them, it's okay. In order to make your Raspberry Pi log the output of the script into a separate file, you have to make some changes in the rsyslog configuration. Before you start to mingle with the configuration, make a backup of a file, in case something goes wrong. NOTE: You don't have to do this. Without it, however, the messages from the script will be logged into /var/log/syslog and /var/log/messages files. If you want your system to log the messages into a separate file of your choice, please follow the instructions. and reload the rsyslog service. This will tell the rsyslog to log the messages from local0 facility (as indicated in the RPiSecurity.py script), to a separate file. But, still, we'll get the output into /var/log/syslog and /var/log/messages files. We don't want this to happen, so we have to tell our system not to do so by adding local0.none to syslog and messages facilities. This will "log" no output from the local0 facility to those files. Those two entries will prevent the script from logging elsewhere than it's own log file. And we're done! 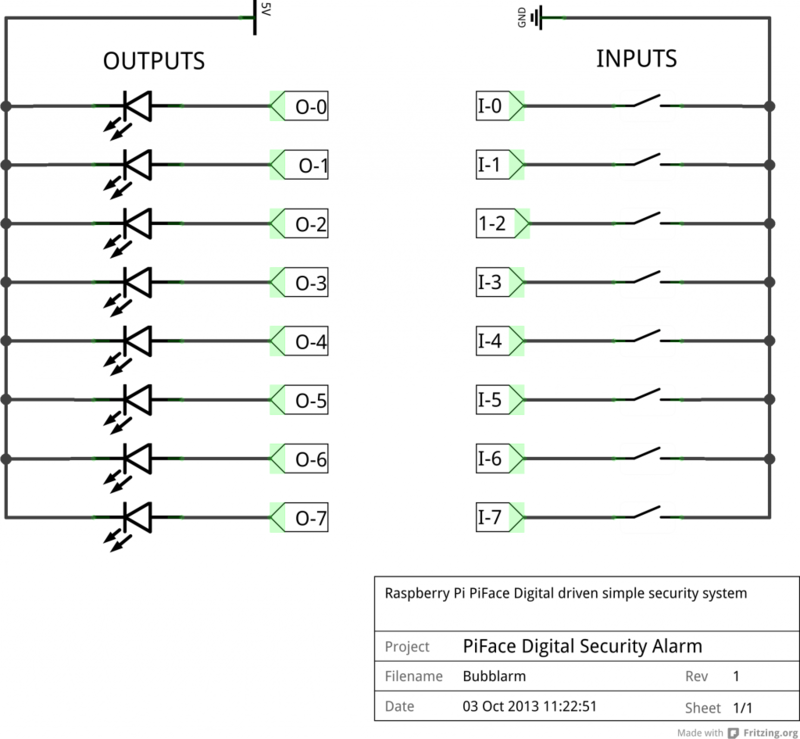 Our simple security system hosted on Raspberry works! I intend to add more usability to the system, create a CCTV of my home, add an automated doorbell, and some scheduled tasks like water heating or morning of the lighting would be a nice add-on. Also, I'm thinking of writing an android app in the near-ish future as a front-end of the security system. Till then, have a great time with your Raspberry Pi!